I had so much fun with this challenge. 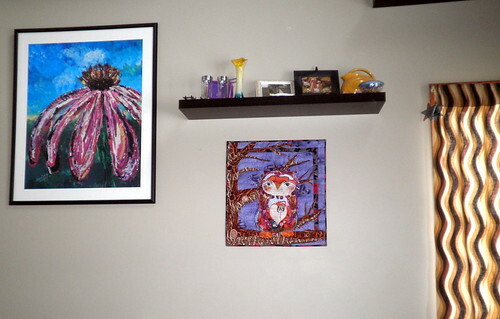 It was quite the process and I’m still happy with how ‘Owl Be Yours’ turned out. 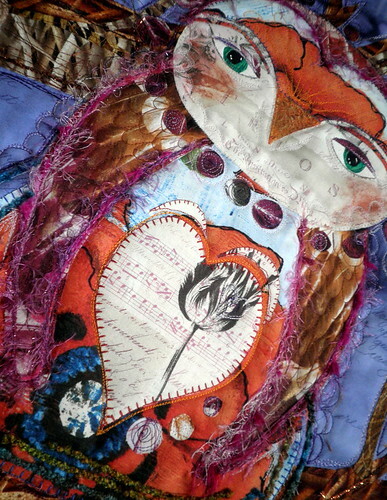 I think I’m going to try to enter it in a few quilt shows before I list it on my etsy site. Right now it’s still on my wall like it’s photo’d below and it makes me happy every time I look at it. JUDGE 1: I love your uniqueness in this project. Your construction techniques are improving with every challenge. You can see new things and thoughts and I love it. I can see this quilt hanging in the jungle room. JUDGE 2: The greatest thing about this is the details. They change a really good project into a truly great one. One of my favorite things is in the way you always interpret the theme (even a cheesy theme like ‘Be My Valentine’) instead of making something predictable. I think it’s wonderful that you took something new you learned and used it to make it into something entirely different than the original. JUDGE 3: Kim, the eyes of your owl are haunting. Your stitch work and your embellishments of fibers and collage work, such as the musical score and the text prints, are so full of interest. The use of purple fibers is very cool. Honestly, the off-kilter perspective of your angled detail shot is so full of energy and attitude, that I think the piece may be stronger if you cut it to that macro angled view. That tight angled shot is so very much more powerful and full of intrigue than the “standard” view of the whole piece. JUDGE 4: I love all the details! 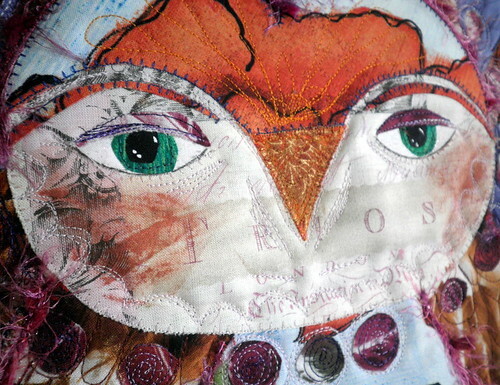 the wind blowing in the branches, and the facial details on your owl, and quilting are all beautifully done! Amazing work! 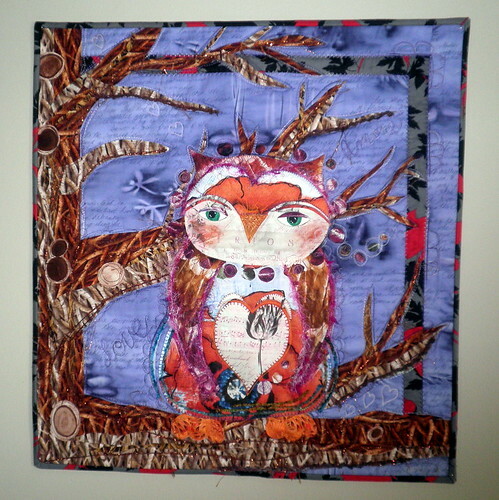 And…there is still time to VOTE for your favorite Project QUILTING challenge! 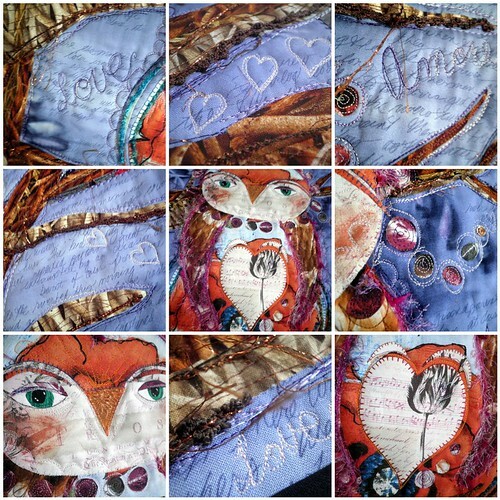 Fantastic piece of work...your stitching details...wonderful.